Haha cute - I love the look on her face. that really says so much - yum! 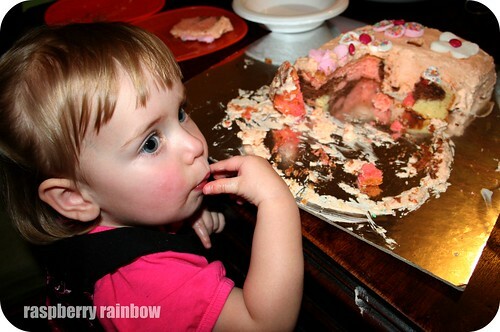 I agree, the cake looks delicious! mmmmm! she is in cake land! fun photo and definitely something we can all relate to. Is that a Women's Weekly cake? I like your blog btw, keep up the good work!